BAC Industries | Manufacturers of Light Industrial Products World Wide. 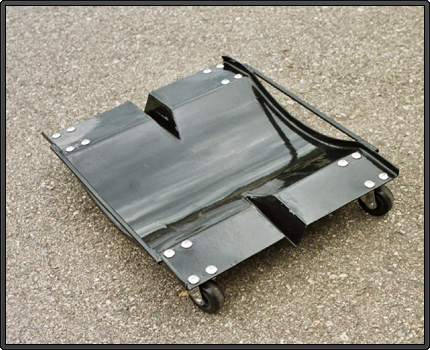 Dollies have groove in them so you can store snowmobiles too. 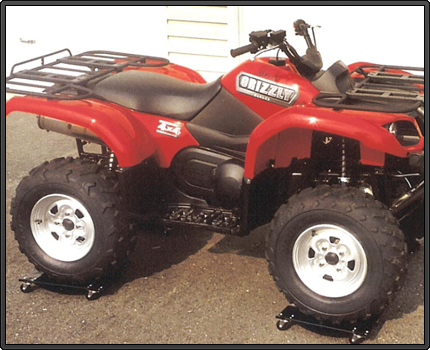 Use to easily move ATV's, lawn mowers, snowmobiles, trailers, snow blowers, golf carts, light duty farm equipment, machinery. Make storage more portable and maximize storage space. - All prices DO NOT not include shipping and handling charges. We only ship to the 48 contiguous states. Not all items available for purchase on web-site. Please call for distibutor or retailer. - Any long handle tools or oversize items are subject to extra shipping charges. © Copyright 2013 Bac Industries, Inc. All Rights Reserved.